Alert center. 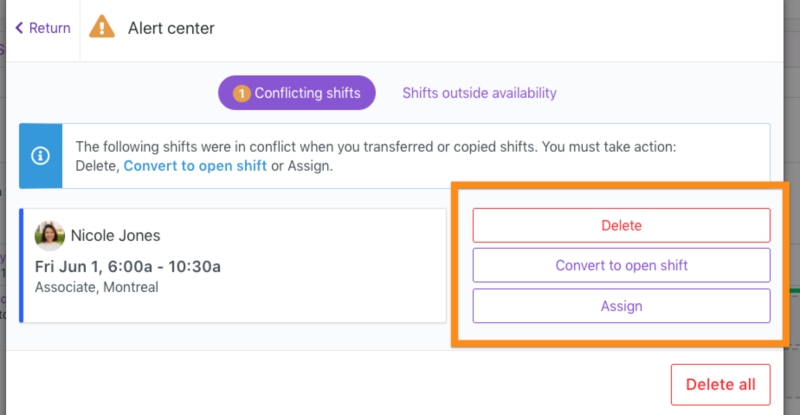 How do I manage shifts outside availabilities. Convert to open shift. More on open shifts here. You can also delete all conflict at once with the "Delete all" button at the bottom. Note that deleting conflicting shifts will not delete what you have currently on the schedule. It will only remove the extra shifts created. 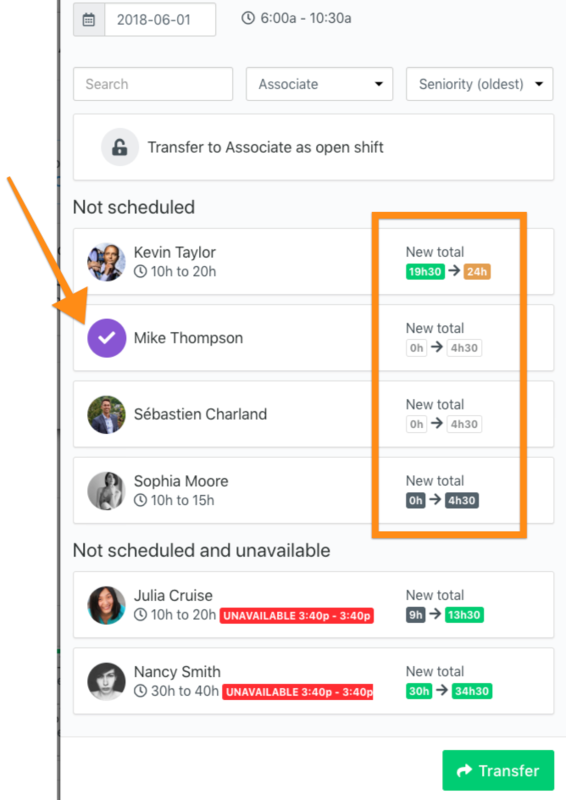 When you click on assign, a new window will appear to show you which employees are available and what will be the impact on their weekly hours (Orange box). Simply make your selection and click on transfer at the bottom. You can quickly discard all unavailability alerts by clicking on "Ignore all"